Georgetown University has announced its new six-step “A.C.T.I.O.N.” strategy in battling “microaggressions,” a term coined in the 1970s referring to incidences in which individuals — known as “microaggressors” — unknowingly or unintentionally offend somebody belonging to a “marginalized” group. Marginalized groups are typically defined as any minority group deemed downtrodden in America by left-wing activists seeking to defend these individuals. Leftist activists operate under the assumption that members of marginalized groups desire such protection from members outside their group, due to being unable to defend themselves. 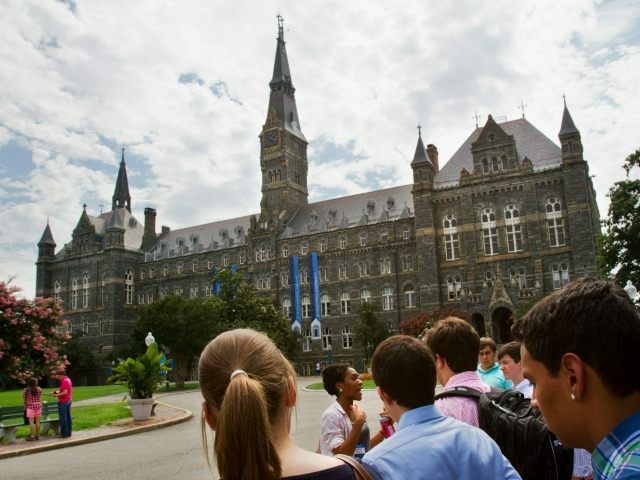 Following this line of thought, Georgetown University has partnered with its Council on Diversity Affairs in an effort to prevent these subjective microaggressions from occurring. “This campaign will work towards developing a response strategy BEFORE a microaggression appears, and building efficacy in faculty, staff, students and trainees who must respond in real time to microaggressors,” states the action plan on the university’s website. The university attempts to simplify its plan by using the word “action” as an acronym for six steps that students and staff can follow whenever they encounter a so-called microaggessor. Ask: Clarifying questions to assist with understanding the microaggressor’s intentions. Georgetown University members are encouraged to report “instances of bias,” and can even do so anonymously.